Materials such as water, nutrients, dissolved gases, ions and waste are constantly moving across a cell's membrane. 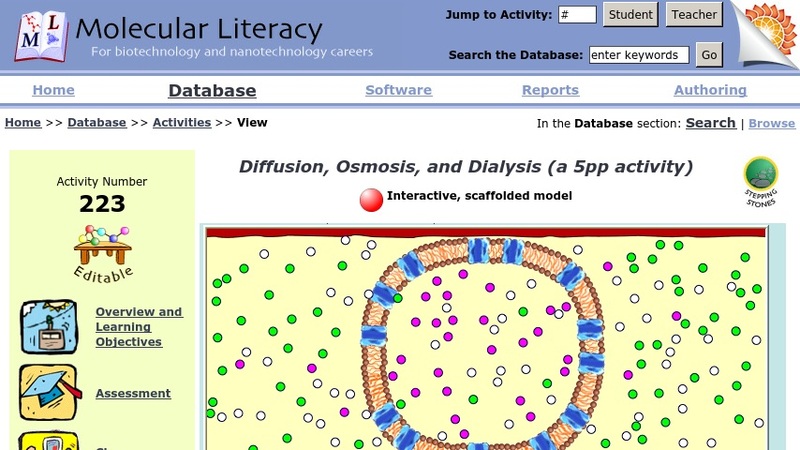 In this activity, students interact with models of diffusion and osmosis and observe the net flow of molecules in air, in cells, and across a cell's semi-permeable membrane. Students will be able to: Determine that diffusion results from random motion and/or collisions of particles; learn that particles diffuse from high concentration to low concentration; explore simple diffusion across a semi-permeable membrane; connect the process to dialysis.